Honor 5X has been updated to Android 6.0, Marshmallow version six months after the release. The 5X is a phone from Huawei’s Honor and was the first phone that made an entry into the mobile markets of the US. However, its flagship features were only offered for the unlocked version sold at $199. When the phone was first launched, the company promised that a faster and more efficient Android Marshmallow, 6.0 would soon be available for the device. Six months later, this promise is finally fulfilled and the update is being pushed for the mobile device. The Honor 5X has a powerful chipset and packs in a punch with great featuresand completemetal body. The price tag is also lucrative, making it an ideal mid range mobile device. The phone is powered by the Snapdragon, 616 CPU and has a RAM of 3 GB. It comes with a display screen of 5.5 inches and has a resolution of 1080 pixels. The rear camera has a resolution of 13 MP. It also has a fingerprint scanner, which is mounted at the rear. The front camera or selfie camera has a resolution of 5 MP and its battery is powered at 3000 mAh. The build is completely metal, which is quite a rarity for a phone in its price range. The new 6.0 Marshmallow update for Honor 5X will offer enhancement of battery life, with the Doze feature. In addition, there will also be system optimizations all over the device. The update is still in the initial stages and might take some time before it reaches all devices. The update is also initially being offered to the international models. However, users of the device can also check out the update manually by going to Settings. If you have not received the notification and are really impatient, you can access the zip file that contains this OTA update. It is 1.45 GB in size and you can flash it to receive the EMUI 4.0, which is based on 6.0 Marshmallow. However, it is possible that the SD card could be wiped out during the updating process, so do have a backup for your important files. After downloading this update, you can access a lot of interesting new features. These include, Now on Tap and Doze mode for battery saving. There are app permissions that can be customized and many other new and cool features coming from Marshmallow for the Honor 5X. Huawei has also announced that the Marshmallow update will be rolled out for its Honor 5X devices in India, disclosed via the official forum. 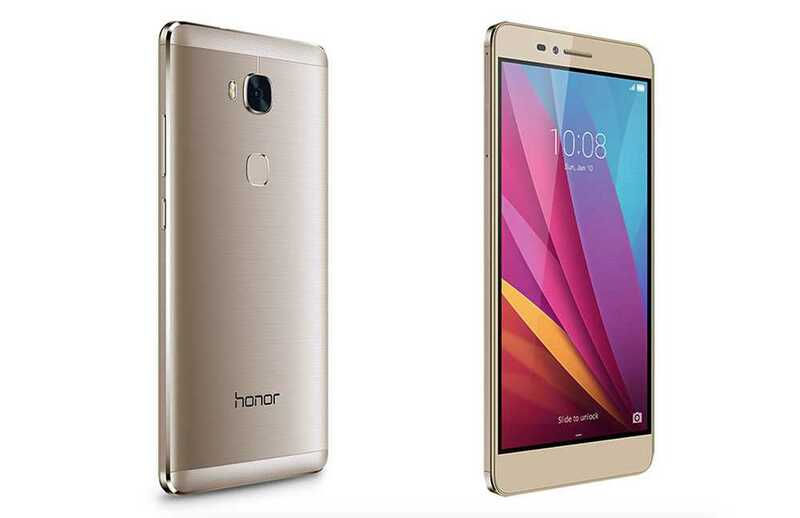 The Honor 5X was launched in the country along with the Honor Holly Plus 2.